It’s a perfect combination of fashion and high tech. 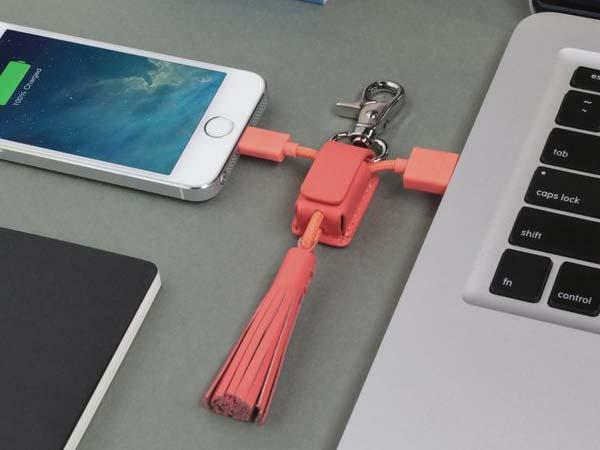 If you want to add some fashionable elements for charging or need a handy way to charge your smartphone, Native Union’s Power Link Tassel keychain with charging cable may be a nice solution. The Power Link Tassel is a well-crafted and stylish keychain styled charging cable that comes in two models for iOS and microUSB integrated devices. 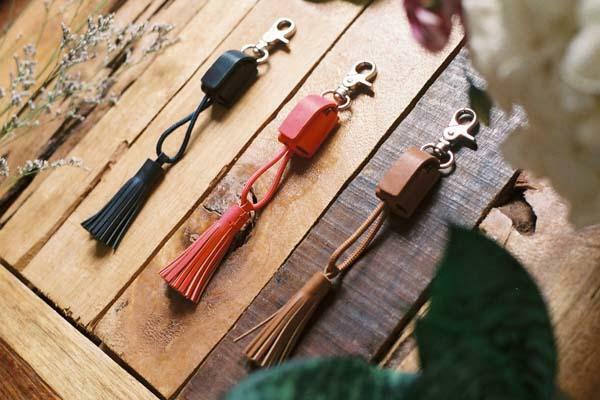 As shown in the images, the keychain sports a modish leather tassel below its genuine leather with a hidden magnetic closure, and with hand-stitched low-profile detailing and three optional classic colors in order to perfectly match your purse. Moreover, the keychain features a matching nylon reinforced charging cable with Lightning or microUSB cable, so you can handily use it to charge or sync your mobile devices when needed. The Power Link Tassel keychain with charging cable comes in three colors and is priced at $59.99 USD. If you’re interested, jump to Native Union official site for more details.